I’ve been wearing a fitness/activity tracker for quite sometime now as I think there is a huge benefit of having a visual reference to how you’re doing and to motivate. If I’ve been idle for a period of time, the activity band reminds me to get up and move which is great for me as I sit at a desk all day. I am also a huge proponent of data and activity trackers collect all sorts of cool data like calories burned, heart rate during exercise, sleep patterns, and steps to name a few. I love to see the collection of data and try to analyze what I’ve done and what I can improve upon. At times there is almost too much data. It gets overwhelming and I don’t always know what to do with the data or how to use it to improve. The activity tracker tells me what I’ve done but doesn’t tell me what to do to get better or that if what I’ve done are the right things to improve health and fitness. But I have good news…that all changes with GOQii. 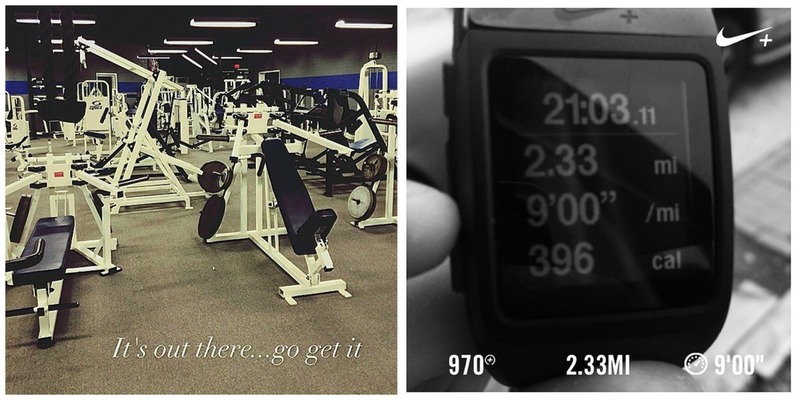 GoQii is not just a fitness and activity tracker, but a tool to help you achieve your goals. The GOQii band and activity tracker tracks all the data I mentioned above, but what sets the GOQii apart from all other activity trackers is that the activity tracker comes with a personal coach. The coach sees the data collected from the band so they can help in assessing if what I’m doing is the right thing and can make adjustments to help me reach my goals. This is the missing element from all of the activity trackers on the market today. Two activities that I love and make be feel great are running and weightlifting. However, I have a tough time being consistent in both. My primary health and fitness goal for 2015 is to be more consistent my workouts and my nutrition. We all know consistency is the key when it comes to a healthy lifestyle, but that consistency can be hard to come by. Having a personal coach that guides me and that I feel accountable to is just what I need to be more consistent. For a limited time, GOQii is offering the band and 1 on 1 personal coaching from certified coaches for 12 months for only $99. GOQii coaches look at the big picture of your health, analyzing the data collected by the GOQii Band and App to help you make sustainable, permanent lifestyle changes to achieve your goals. Most activity trackers on the market sell for at least $100 making this an even more amazing offer. What’s even better is that as you meet daily goals with GOQii you earn Karma points that you can donate to worthy causes as actual donations. What’s better than getting healthy and doing good for the world? Learn more about GOQii by taking a look at the video below of by visiting them on Twitter (@goqiilife) and join me in being the best we can be in 2015! This post is sponsored by FitFluential on behalf of GOQii.